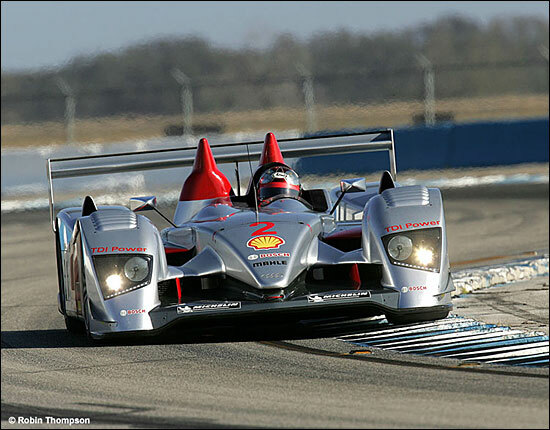 The two Audi R10 prototypes at Sebring and Le Mans will be driven by Frank Biela, Dindo Capello, Tom Kristensen, Allan McNish, Emanuele Pirro and Marco Werner – the six who have driven the cars so far. There’s no indication of how these six will be combined in the two cars. Each of the six R10 drivers has won the 24 Hours of Le Mans and the 12-hour race at Sebring at least once, and as a group they have recorded 17 Le Mans and twelve Sebring wins. The six contest their first race with the R10 at the 12 Hours of Sebring (USA) on 18 March which is seen as a test race for Le Mans. With the exception of Tom Kristensen all the Audi drivers have already tested the new Audi R10 extensively. Kristensen was at the wheel of the R10 during the presentation in Paris in December and will get ample opportunity during the test and practice days before the Sebring race to familiarise himself with the new diesel sportscar. The two Audi R10 prototypes will be entered at Sebring and Le Mans by Reinhold Joest’s team, which previously supported the Audi Sport Development Team during the successful R8 years. 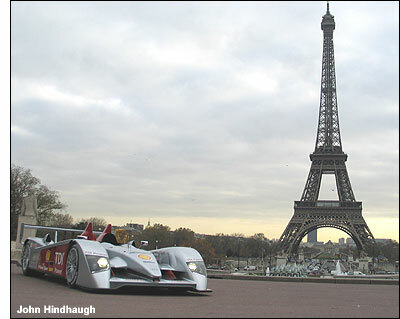 Both Audi R10 prototypes will race under the Audi Sport North America banner in Sebring.